The Roanoke Valley in Virginia&apos;s Blue Ridge is a region full of fantastic trails. 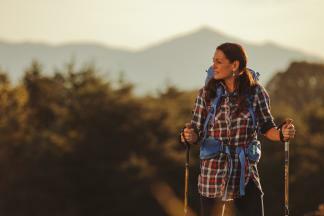 With over 600 miles of trails, you&apos;ll want to make sure you have your hiking boots when you visit Virginia&apos;s Blue Ridge. 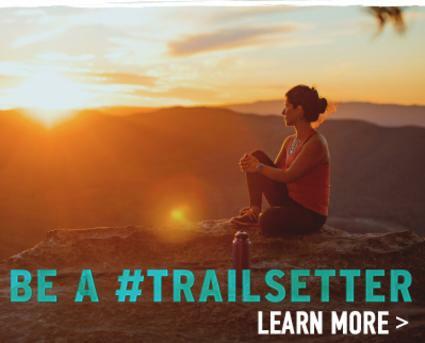 The region is a hotspot for trail lovers, which is part of why the Roanoke Valley was named "Best Trail Town" by Blue Ridge Outdoors Magazine. 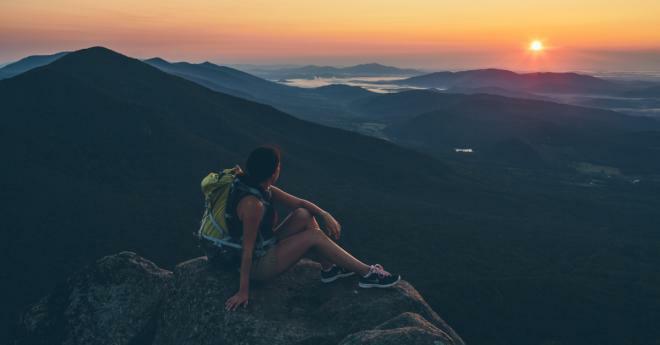 If you&apos;re in the mood for a hike, you can&apos;t go wrong with any of these 10 great hikes in the Roanoke Valley in Virginia&apos;s Blue Ridge. Often referred to as the most photographed spot on the Appalachian Trail, McAfee Knob is a challenging but incredibly rewarding hike. The summit provides a stunning 270-degree panoramic view of the surrounding mountains and it&apos;s also a popular spot for picnics. It&apos;s a six-mile round trip hike that is moderately difficult. Learn more. 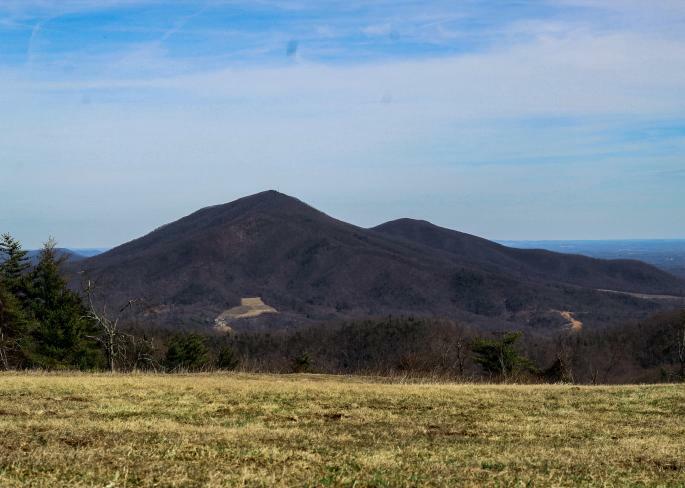 While there are multiple great trail options at the Peaks of Otter, the Sharp Top Mountain trail will provide stunning views of Virginia&apos;s Blue Ridge you&apos;ll never forget. 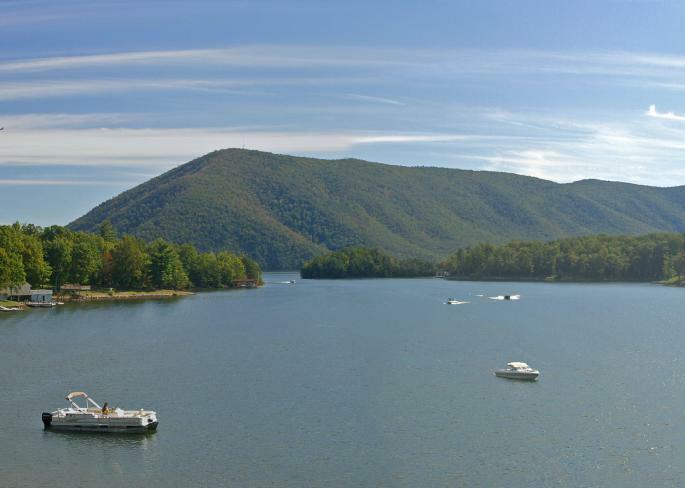 The summit offers a 360-degree view of the surrounding ridge lines and you can also look down on the beautiful lake and Peaks of Otter Lodge. Learn more. 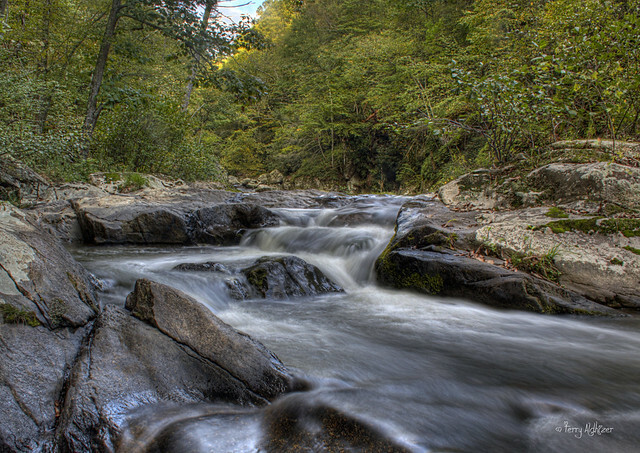 Roaring Run combines outdoor adventure and some of the unique history of Botetourt County in one fantastic trail. Experience cascading falls and streams along this leisurely trail, and also check out the historic iron ore furnace that operated in pre-Civil War days. Learn more. Over seven miles of hiking trails make the Waid Recreation Park in Franklin County an outstanding place to spend a Blue Ridge Day. The trails wind through the rivers, hills and countryside of Franklin County and also provide nearby access to the Upper Pigg River Blueway, picnic shelters and ball fields, making it an experience the entire family can enjoy. Learn more. This trail isn&apos;t for the faint of heart, but the summit provides a view that&apos;s second to none. Hikers get to see the unique geological features of Cove Mountain and various outcrops of rocks, including the "Dragon&apos;s Tooth," a 35-foot spire that projects above the surrounding rocks. 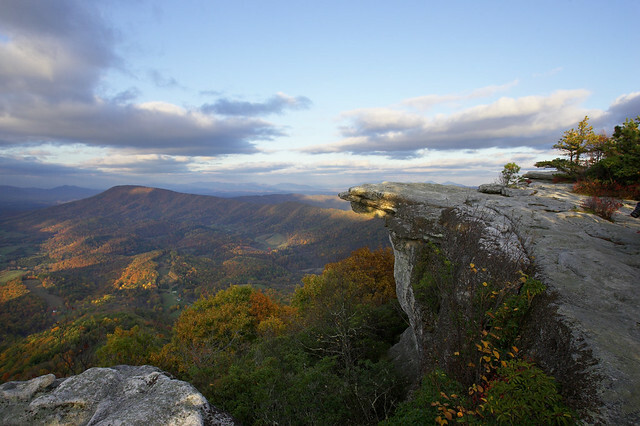 Climb to the top of the spire and look out across Virginia&apos;s Blue Ridge. Learn more. 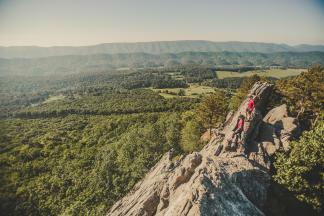 As part of the iconic Virginia Triple Crown, Tinker Cliffs is one of the most underrated hikes in Virginia&apos;s Blue Ridge. 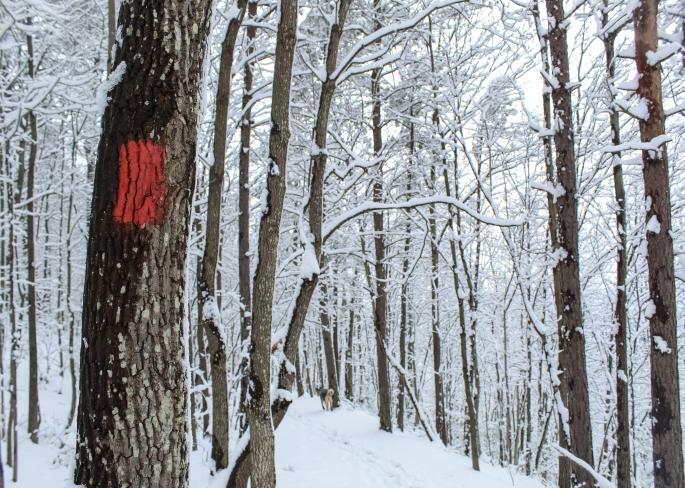 It&apos;s a little over 7.5 miles round-trip along the Andy Layne Trail with a summit at 3,000 feet that offers a beautiful view of Catawba Mountain and looks south along the Appalachian Trail and ridgeline. Learn more. Went hiking to a 200 ft waterfall at Apple orchard falls yesterday! Between the streams, waterfall and forests that remind you of walking through an apple orchard, the Apple Orchard Falls Trail is one of the more popular trails that can be accessed from the Blue Ridge Parkway. The Apple Orchard Falls are also one of the most striking waterfalls in the region and a perfect spot for a photo. Learn more. Learn why the City of Roanoke has the nickname of The Star City of the South with a hike along this trail. 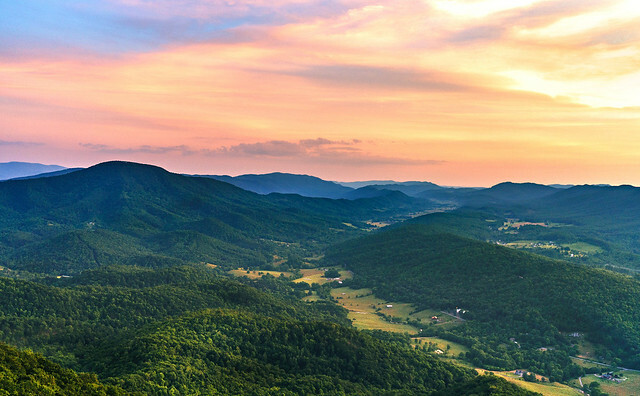 Start at the base of Mill Mountain and then make your way to the top, where you&apos;ll stand beneath the world&apos;s largest freestanding man-made star and look out over the Roanoke Valley and surrounding Blue Ridge Mountains. Learn more. This three-mile hike is highlighted by a huge rock field with boulders that range in size from coffee tables to large vans. 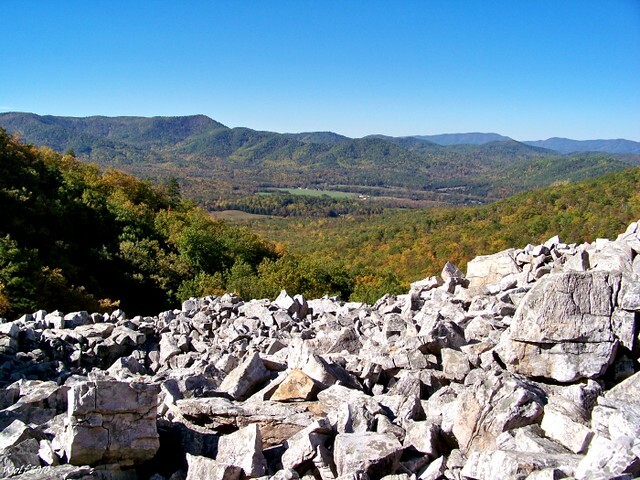 The marbleyard is one of the most unique geological features of Virginia&apos;s Blue Ridge and it&apos;s an experience you won&apos;t find along the more traditional trails in the region. A portion of the trail is also part of the Appalachian Trail, which provides a wonderful 360-degree view. Learn more. A hike along the Bottom Creek Gorge Trail includes getting to see a 200-foot waterfall, which is one of the largest in Virginia, and also creates an amazing step-series of smaller falls that lead to the creek. This moderate trail features a mixture of hardwood species of trees and hundreds of wildflowers along with nearby meadows. Learn more. 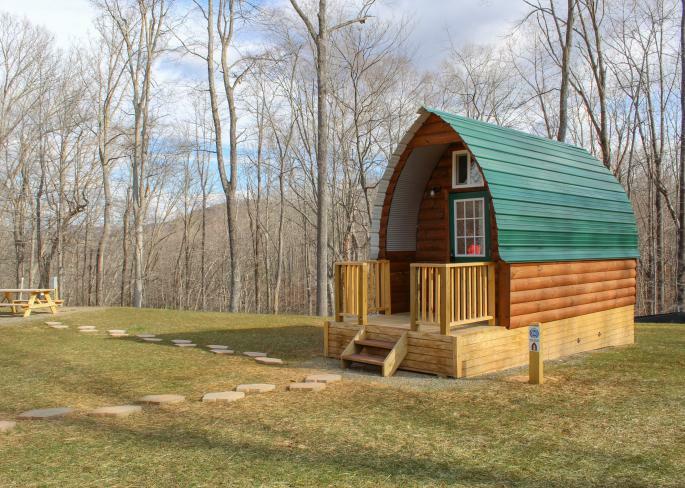 For more information on other hikes in Virginia&apos;s Blue Ridge, see our complete list of hiking trails. 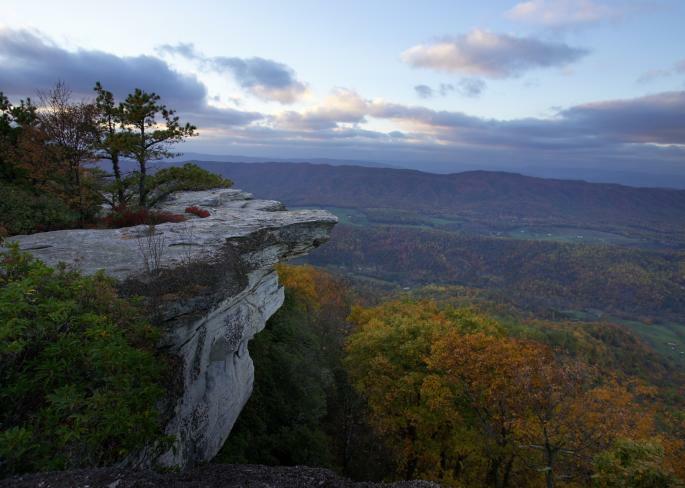 Hike all three legs of the Virginia Triple Crown to experience incredible summits and stunning views.